First, just pre-treat any stain or soiled areas with Dryel Booster Spray. You can add 1 to 5 garments in one load along with 1 ULTRA cleaning Dryel cloth to the reusable fabric protection bag that comes with the Dryel kit. Simply tumble dry on medium heat for 15 to 30 minutes! Then take out your clothes and preferably hang them to avoid wrinkles. Wowza! You are done! It takes way less time than lugging all the Dry cleaning clothes to your local Dry cleaner! Dryel’s ULTRA cleaning™ cloth has no harsh chemicals that can fade your clothing! The patented Fabric protection bag offers extra care and protection for the cloths for optimal cleaning. One of the biggest problem with knitted clothing especially sweaters is the chance of shrinkage, which can complete ruin the shape and size of the piece of clothing! 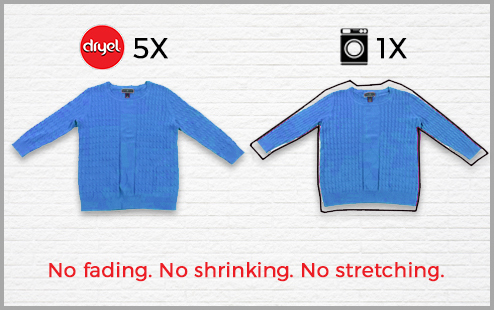 With Dryel, the shrinkage usually caused by wet washing or Dry cleaning is considerably reduced, while using Dryel due tenth patented Fabric protection bag! The Dryel kits are reliable and is less environmentally harmful than professional Dry cleaners and safe of kids clothes as it does not use harsh chemicals! I am super glad to have found such a useful product that saves me time and money! 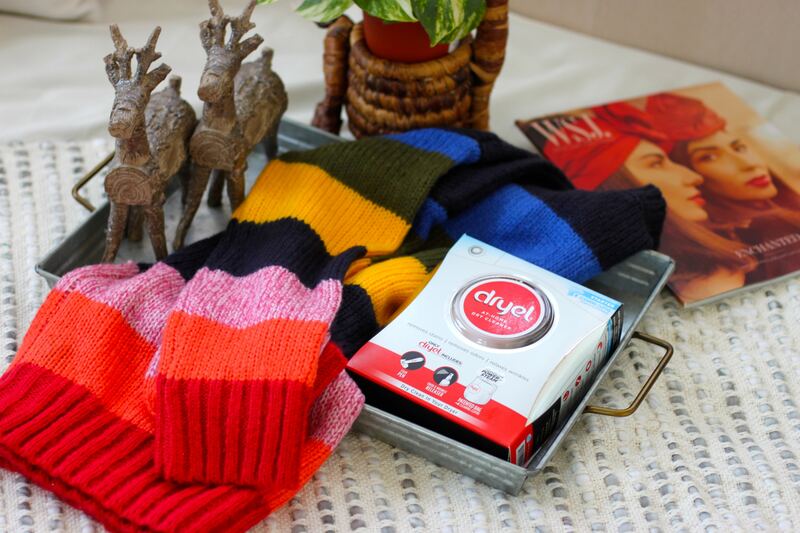 So now you can get rid of those magic stains on your favorite sweaters this holiday season with Dryel!